Fixed: Bug preventing some Premium members from accessing meal nutrition breakdown. Want to see *your* bug featured here? We would too. Email us at support@askendiet.com, and we'll see what we can do. Love Asken Diet? Aww, thanks! We'd love for you to write us a review. Helped me lose weight. I like it. I’ve been using this app for a bit now and I’ve actually been losing weight. I’m really liking all the dietary advice I get each day that’s based on the foods I’ve been eating. It’s very clear wether or not I’m hitting my goals. And all the super detailed nutrient info is a huge plus for me since I can see what nutrients I’m lacking or taking too much of each day. 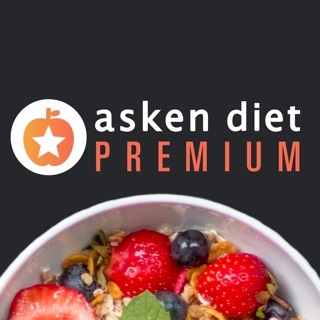 It seems like Asken is working with professional dietitians for all their info and that makes me trust them more than some of the other diet apps I’ve used. All in all I’m happy with what Asken has built here. Looking forward to seeing how this app develops. Thanks for the 5 star review! The dietary advice is written by our team of nutritionists and dietitians so they will be happy to hear your feedback. We too are looking forward to releasing more exciting features for our users like yourself. Stay tuned! I gave this app a four star because of just how good it's made, but I wish it was just a little more flexible. 1) I wish you could manually put in the calories and not just have it based off of height, wieght. Some people need more nutrition than others. For example, myself. I also don't get why, after I put my age and height (I'm underwight and short for my age) it still gives my a low calorie recommendation. 2) Why is this app only for teens 16+? Why can't it be thirteen plus? My litter sister (14) is a little heavy and loves the idea of having this app! I really don't see how this app could be inappropriate for someone 13+. Thanks for taking the time for the review. We honestly wish we could be more flexible but we have a few reasons we are not. Regarding (1), manually adding calories. We currently don't allow that because we need more nutrient information to give diet advice. We don't want to simply be a calorie counter but instead monitor users overall nutrient intake. If you could manually add calories, our algorithm couldn't give proper advice. Regarding (2) age limit. We have a few reasons. The USDA and other nutrient guidelines we adhere to are based on adults 16+. It is a different set of data to give advice to younger people, which we are currently not ready to do. 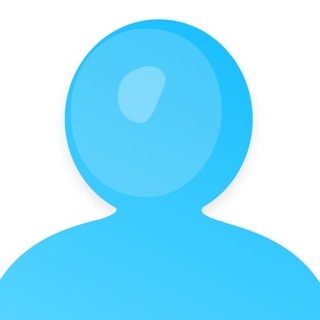 In addition, if/when we add a Community function (sharing photos, diet tips, chat etc) we need to have users 16+ for legal/safety/privacy reasons. I really enjoy this app, and I feel it will help me a lot in my weight loss journey! But there is one thing I'd love to see added to the application. That is, dancing. I typically do very cardio based dance workouts for weight loss, but there is no dance option when logging exercise. I would love to see that added! Overall amazing app however!